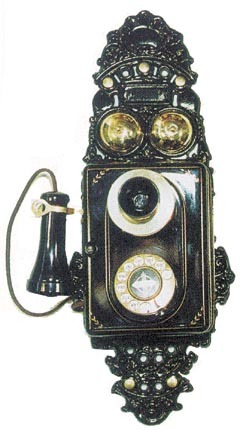 This is very similar to the above Baroque phone except that it has a separate transmitter and receiver.The ornate back is cast metal. The transmitter and receiver are modern high quality reproductions. The phone comes with a 6 ft. modular line cord. There is a 30 day return privilege and the phone carries a one year warranty.